Domestic students enrolling in any one of Lakehead-Georgian’s four degree-diploma programs for fall 2019 may receive $4,000 toward their first year of study. The $4,000 Lakehead-Georgian Entrance Award can be combined with the Lakehead Entrance Scholarship to a maximum of free tuition for first year. You will automatically be considered for this award when you apply for your program, provided you apply by March 29, 2019. Entrance Award criteria are subject to change. *The Lakehead Entrance Scholarship is renewable over four years provided the student achieves the required academic average in each academic year. The Lakehead-Georgian Entrance Award is for first year only. See below for more information about the renewal of entrance scholarships. **This amount can't exceed the total value of first-year tuition. 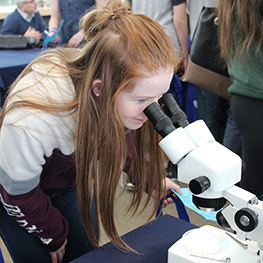 Lakehead University guarantees funding to high school students who are Canadian citizens studying at a high school in Canada, and who have a minimum 80% average from a recognized Canadian high school curriculum. Lakehead-Georgian students are eligible. You won’t ever have to apply for the scholarship, it will automatically be applied. *Free Tuition Scholarship is renewable provided a 90% average is achieved in each academic year. If a student’s university academic average falls between 80.0% - 89.9% the student will receive an amended scholarship valued at $2,500/year for each subsequent academic year for the remaining term of the scholarship. ** Renewable, provided an 80% average is achieved in each academic year. Learn about other financial supports. Read more about the Terms and Conditions of Undergraduate Entrance Scholarships, Awards and Bursaries.